It’s Halloween, and I’ve got just the treat for you. 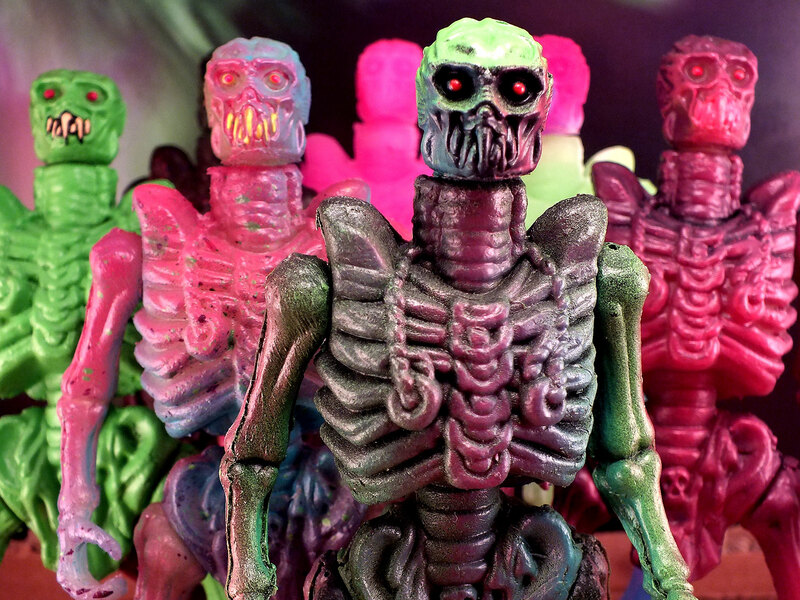 Weirdo Toys has recently collaborated with the best bootleggers in Berlin – Goodleg Toys. 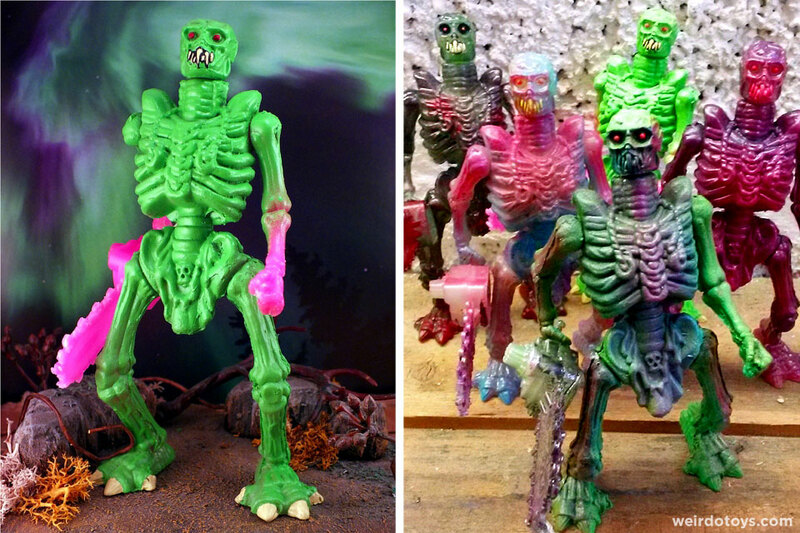 For a little while now, we’ve been working on a bootleg piece that perfectly captures our combined aesthetics for cool bootlegs and bizarre toys. We’ve brought to life something new and exciting. 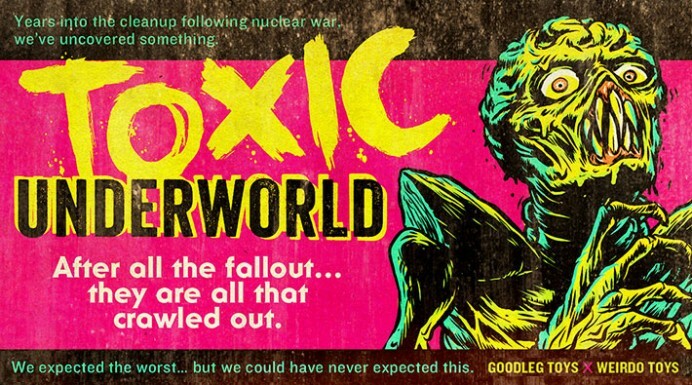 Let me introduce the Toxic Underworld. After all the fallout… they are all that crawled out. 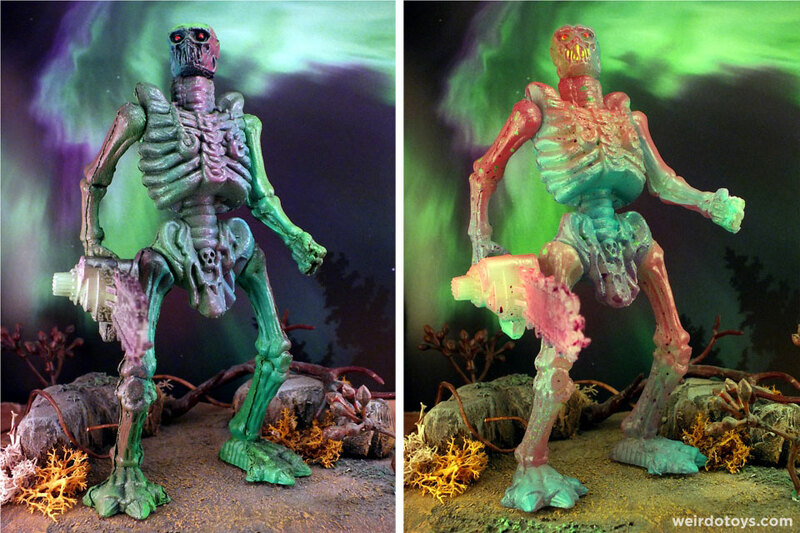 These guys are a nod to the monster and skeleton toy lines such as the Underworld Warriors or Nightmare Warriors you know are near and dear to my heart. What really makes these even more fun for me is the header card art and “story” which reveals a B-horror movie scenario as the origin of these creeps. Now comes the important details. 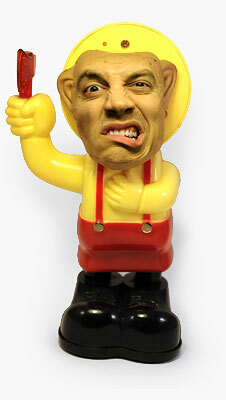 Goodleg Toys will release the first edition of these little guys today at Midnight GMT+1 in the Goodleg shop. 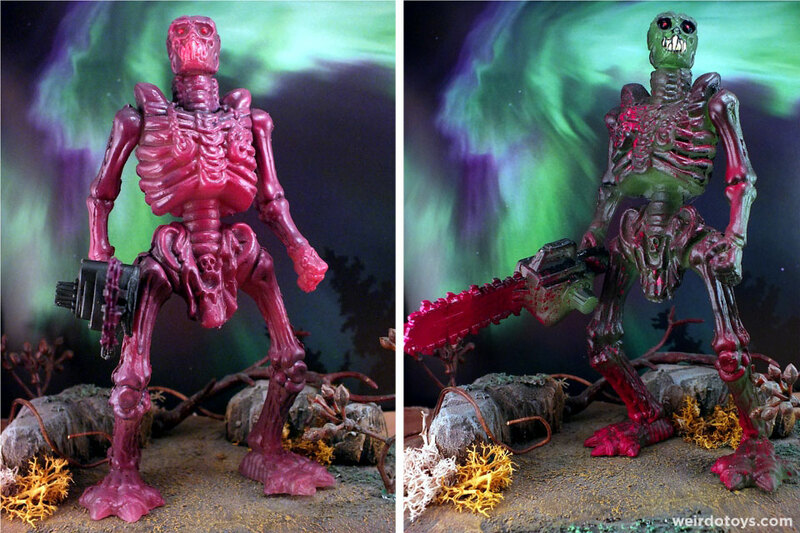 They are 6” resin bootlegs, complete with ripping chainsaws! Each figure is a custom, one-off piece with 5 points of articulation, is “artistically” spray painted, and comes blind bagged with header card (illustrated by yours truly). But grab ’em while you can. This set is limited to FIVE figures. So you better grab ’em while you can, and keep your eyes peeled. Some more of these mutated freaks may be crawling out sooner than you think.